At Last! 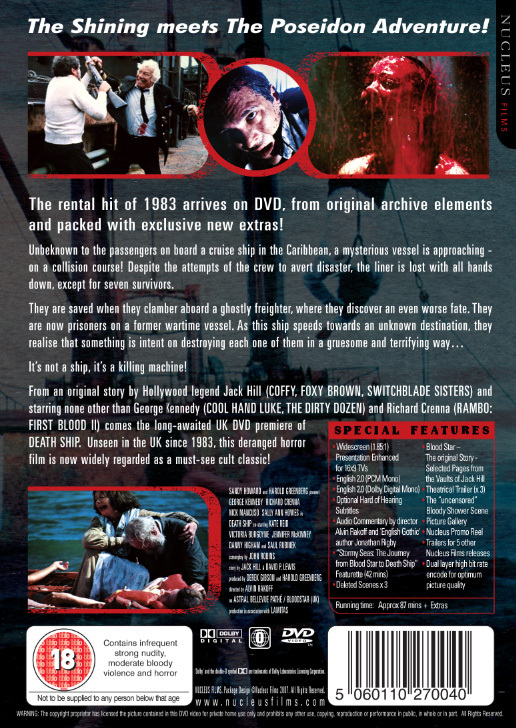 The Video Rental Blockbuster of 1983 arrives on DVD, newly remastered from original vault elements and packed with extras! Unbeknown to the passengers on board a cruise ship in the Caribbean, a mysterious vessel is approaching - on a collision course! Despite the attempts of the crew to avert disaster, the liner is lost with all hands down, except for seven survivors. They are saved when they clamber aboard a ghostly freighter, where they discover an even worse fate. They are now prisoners on a former wartime vessel. As this ship speeds towards an unknown destination, they realise that something is intent on destroying each one of them in a grusesome and terrifying way... It's not a ship, it's a killing machine! 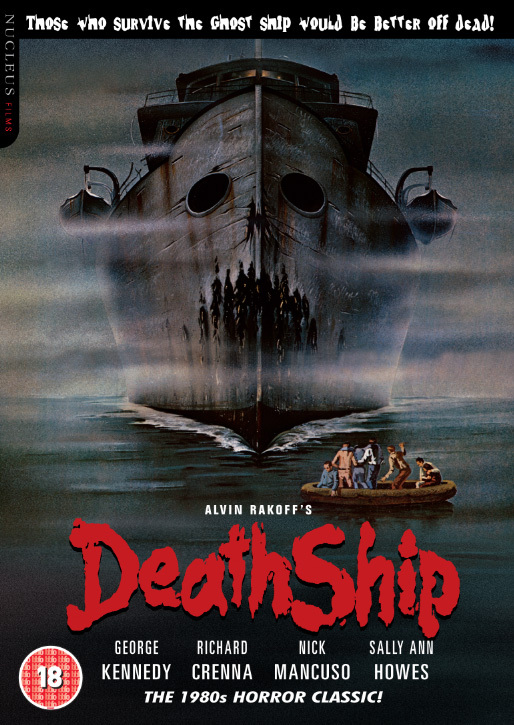 From an original story by Hollywood legend Jack Hill (COFFY, FOXY BROWN, SWITCHBLADE SISTERS) and starring none other than George Kennedy (COOL HAND LUKE, THE DIRTY DOZEN) and Richard Crenna (RAMBO: FIRST BLOOD) comes the long-awaited UK DVD premiere of DEATH SHIP. Unseen in the UK since 1983, this deranged horror film is now widely regarded as a must-see cult classic! George Kennedy, Richard Crenna, Nick Mancuso, Sally Ann Howes, Kate Reid, Victoria Burgoyne, Jennifer McKinney, Danny Higham, Saul Rubinek Lee Murray, Doug Smith, Tony Sherwood.